If you’re an experienced kayaker looking to head out on your own sea kayaking adventure our kayak rental office in Tofino has everything you need to outfit your trip! We offer quality equipment from brands such as Seaward, Current Designs, Delta and Necky. Whether you’re looking to just head out for the afternoon or planning a kayak expedition to explore Vancouver Islands Southwest coast portion of the new BC Marine Trail Network; we’ve got you covered. Save yourself the hassle of having to load kayaks on to your vehicle by launching from our floating dock in the Tofino harbour, straight into the magical waters of Clayoquot Sound! If you are looking to explore Barkley Sound, our operation in Ucluelet is not currently renting kayaks. However, we are able to transport kayaks from our Tofino fleet to the launch point in Toquart Bay for an additional fee of $80 each way. If you already have your own sea kayak but missing (or forgot) a few pieces of gear, any of the items listed above can be rented individually. Paddle West Kayaking also has a variety of other camping items for rent. Below you will find a list of Paddle West Kayaking’s rental items and prices. Happy tripping! We require a valid credit card for deposit on all kayak and equipment rentals in case of damage or loss. There is a charge of $20 on multi-day rentals for kayaks returned unwashed. A hose and sponges are available on the dock to faciliate washing. If you require parking, it is included for half- and full- day rentals. For multi-day rentals, it is $7.50/day to park in the Jamie’s Whaling Station parking lot. If you intend to rent Paddle West kayaks to explore Barkley Sound there is a transportation fee of $80 each way. 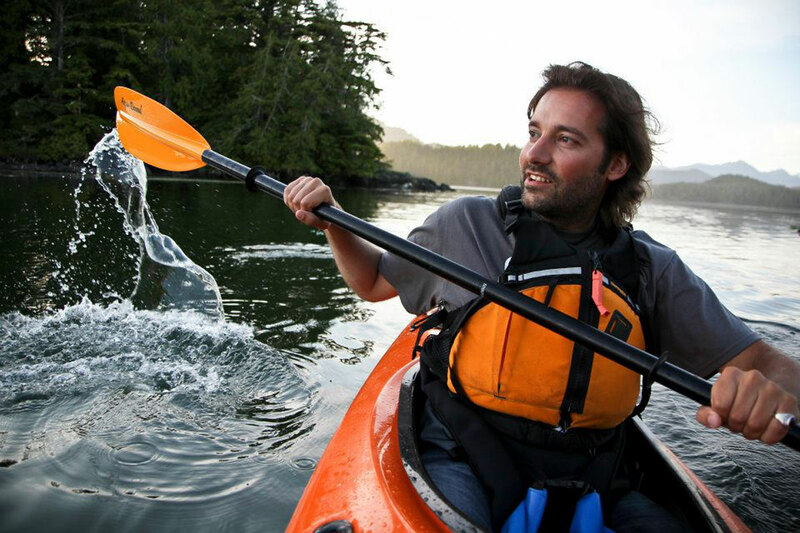 Kayaking the West Coast of Vancouver Island has many rewards but it is important to be prepared as this can be a challenging environment to paddle if you’re not properly prepared. Knowing what the marine conditions are and choosing a route appropriate for the group’s abilities is critical for an enjoyable trip. For those looking to head out from Tofino into Clayoquot Sound on their own self-guided adventure we are here to offer information to help make your trip a success. This service is offered for free to anyone renting kayak equipment from Paddle West. For overnight rentals previous paddling experience is essential. At least one member of the group must have a solid background in sea kayak safety and rescue. Knowledge of of things like tides and currents, self-rescue techniques, and navigation are a must. Those renting overnight must also carry mandatory navigation equipment (chart & compass) and two communication devices (one for backup) such as a cell phone or VHF radio (highly recommended!). If you require parking for a vehicle while on your overnight trip, Jamie’s Whaling Station offers parking for $7.50/ night per vehicle. For those just renting kayaks in Tofino for the day, experience in basic self rescue techniques (wet-exits) and navigation is still essential, however if you are coming from a river or lake paddling background and are not use to tides and currents we may still be able to rent to you. This will depend on the strength of tides and currents during the time you wish to rent. To make a kayak rental, equipment reservation, or make an inquiry send us an e-mail or contact us. *Please be sure to let us know both the start date & time and return date & time you are looking to rent, as well as what kind of boat (single, double or triple hatch) and or equipment you are looking for, so we can let you know availability and give you an accurate quote. ***Additional Note: We do not allow our kayaks to be transported on personal vehicles. All rentals must launch from our waterfront location in Tofino. Alternatively, we are able to transport kayaks to your launch point for $80 each way. All guests are required to fill out a sea kayaking experience questionnaire, and sign a waiver document prior to renting kayaks.